To keep its pole position, six existing laws will be amended. The report by the Federal Council will be published in two weeks. Switzerland is globally known for its pioneering role in the development and application of blockchain technology. One of many reasons is the continuous knowledge transfer and exchange between entrepreneurs, startups, public authorities, politicians and developers in and around Crypto Valley. Today, organizations such as EY, Tezos, Swisspower, Postfinance, die Post, SICPA, B3i and elblox gathered in the Swiss capital to show their use cases and projects in front of renowned politicians and members of the public sector. Adrian Hasler, Prime Minister of Liechtenstein, introduced the new blockchain-law of Liechtenstein, which recently made global headlines. The Infrachain conference was founded and organised by the Swiss Blockchain Federation, which is campaigning for Switzerland as the global main hub for blockchain developments. Federal Councilor and Minister of Finance, Ueli Maurer, is convinced that the number of blockchain applications will explode over the coming years. 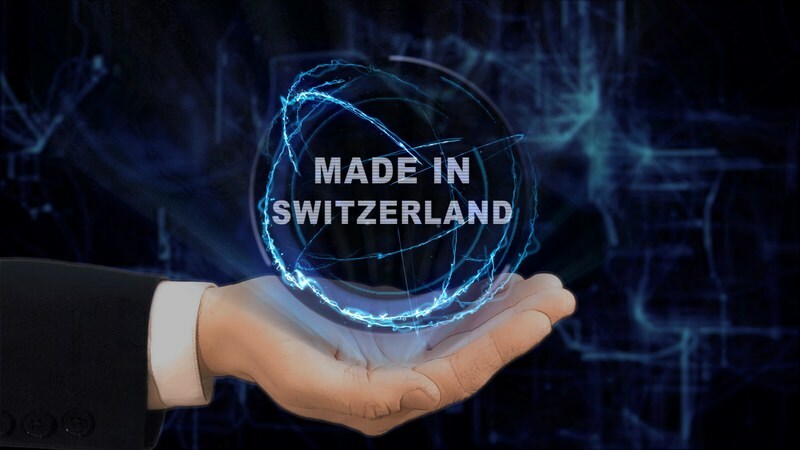 Switzerland has the best requirements due to the local entrepreneurs, developers, scientists and go-getters, but according to Maurer it is also important to not underestimate the international competition. Maurer defined the following goal: “Switzerland will be leading the way in blockchain development and use-cases.” To get there, legal certainty and purposeful legislation will be of the essence. Maurer also emphasized that at the same time, regulation should not “strangle” blockchain entrepreneurs and developers in early stages but provide guidance instead. It should encourage startups to realise their ideas in Switzerland and attract foreign talent. This is also the tone of the Blockchain/ICO report, which the Federal Council will publish in about two weeks by an appointed working group. “Switzerland doesn’t need new special regulations for blockchain. But we will have to amend six existing laws, to include this new technology, that will impact many industries in the future”, says Maurer. Jörg Gasser, State Secretary for International Finance, is leading the working group which is reviewing the legal framework for financial sector-specific applications of blockchain technology to point out concrete need for action. He agrees with Maurer and said later at the conference that there will be specific and purposeful amendments in civil law and financial market legislation. The state is putting general guidance in place, aiming to strengthen and further expand Switzerland’s position as a hub for fintech and blockchain innovation. Federal Councillor Maurer is convinced that Switzerland can keep its pole position as a prime location for blockchain startups. According to Maurer, some of the advantages of Switzerland are short decision-making processes as well as the continuous dialogue between politicians and the industry. This is one of the most important requirements in the world of blockchain, as changes happen fast and on a monthly basis. Furthermore, it is important for politicians to keep the dialogue with the blockchain industry going, to understand current developments and needs. Switzerland should be proud of its achievements. Despite humility being part of the Helvetic DNA, that commendable trait now has to be exchanged for courage on all levels. Blockchain technology really has such an effect that even governments need to get their hands on it. It is definitely of utmost importance for politicians to get in line with blockchain technology in order know what's going on in the industry since it has such a impact.